Family love is an important value. 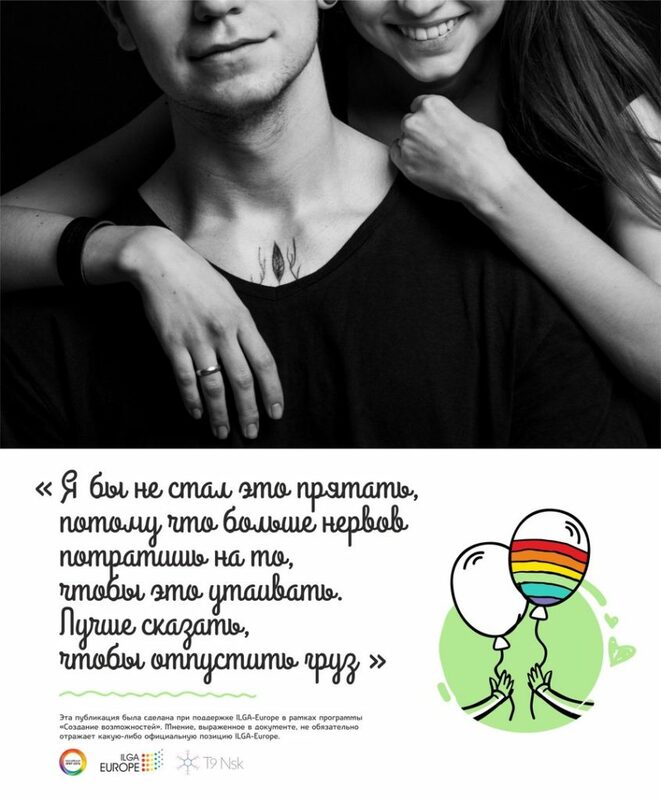 And so it is in Russia, where brothers and sisters mean a lot, and inspire a feeling of trust and warmth. 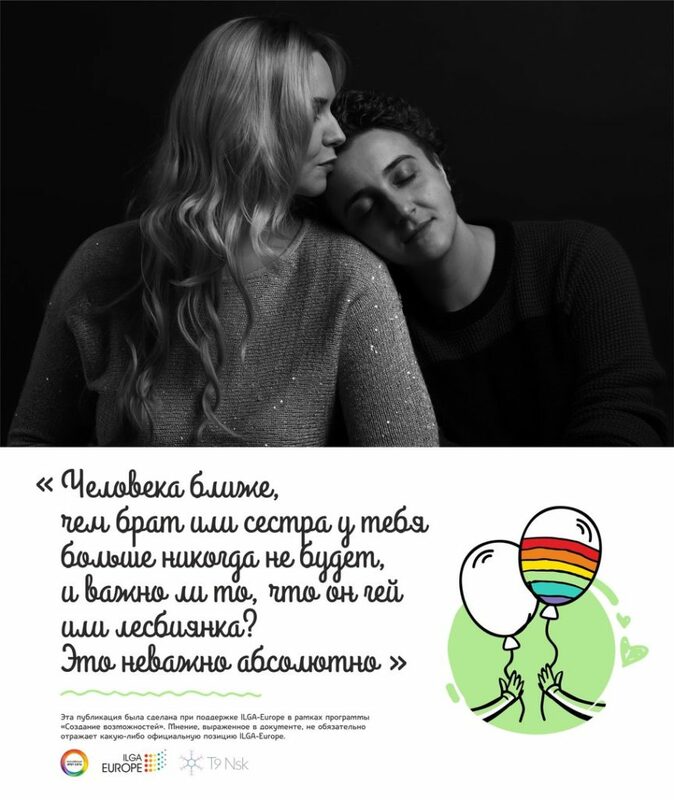 “I’m here for you” is a project that helps to share stories with sisters and brothers of LGBT people. These are life stories about accepting, loving, supporting and overcoming difficulties. These are stories told by people who deserve to be heard. Where did that campaign idea come from? 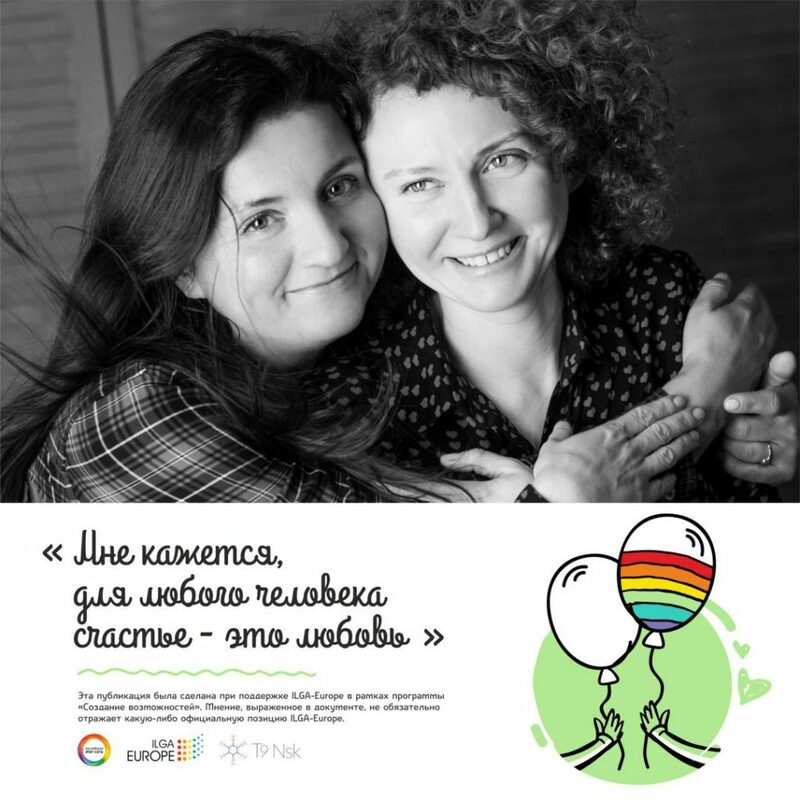 Like many other good ideas, this campaign was born out of our real lives: one day, Elena’s sister Olga, who supports her fully, wondered why we never talked about people like her, why nothing we did ever acknowledged them. We were shocked at how right she was. And we knew we had a great campaign in sight! So the campaign was about fraternity? 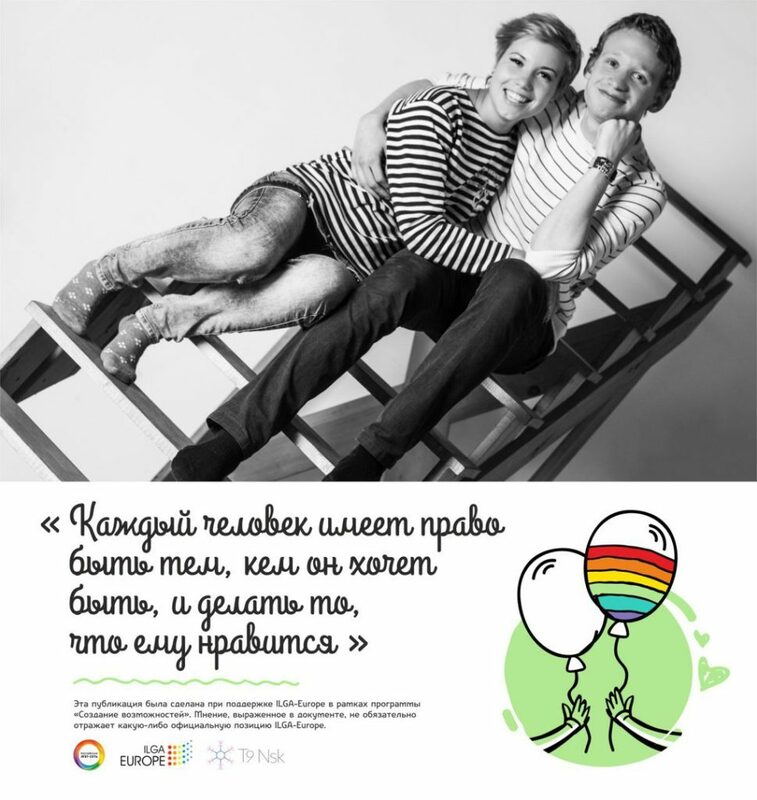 Brothers and sisters mean a lot in Russian society but no LGBT organisation had ever thought of making them central to a campaign. So we decided to do just that. We issued a call for testimonies in 4 Russian cities and got many responses. We then set out to interview the pairs (an LGBT person and their sibling) along a questionnaire of 30 questions developed specially for us by a psychologist. We conducted the interviews and did the photo-shoot. Elena’s professional photo skills were really an essential asset for this. As we got the help from ILGA Europe, we developed a much more robust approach to this campaign and organised focus group discussions with members of the target group (straight siblings of LGBT people) to discuss the name of the campaign, the focus, the messages, the logo. These discussions were fascinating and very effective. Now we can’t imagine doing a future campaign without such a process. Did you help framing the testimonies? We wanted to make sure that the stories talked about the sibling’s journeys of awareness and acceptance. We wanted to show that this is not easy, but that family love helps people travel the distance. We wanted of course to share our own stories too, but we had to make sure that it was also about the people we were aiming to change. In hindsight this is also what we did more or less consciously in the “we are traditional” campaign: by telling people that we do the same things as they do, like shopping, we talk to them about their own lives, about things that they can easily relate to. We are getting a lot of interest from the media but unfortunately the so-called “propaganda” law blocked the coverage. We are doing what we can to find other channels, via places that are not subject to the law. As soon as we secure funding, we will continue this campaign in more Russian cities, as we believe this approach is able to achieve groundbreaking impact. As a sign of its relevance, this campaign is already being replicated in other countries, which we are very proud of. We have assisted friends in Kyrgyzstan and they have already started to collect stories. Last but not least, we want to make a video documentation of this campaign, as this would greatly help to give it some visibility. The best ideas are around us. Look at what others do and ask people around for their ideas. You’re bound to find genius ideas! Talking about us is important for…us. But to reach others, you have to talk about….them. 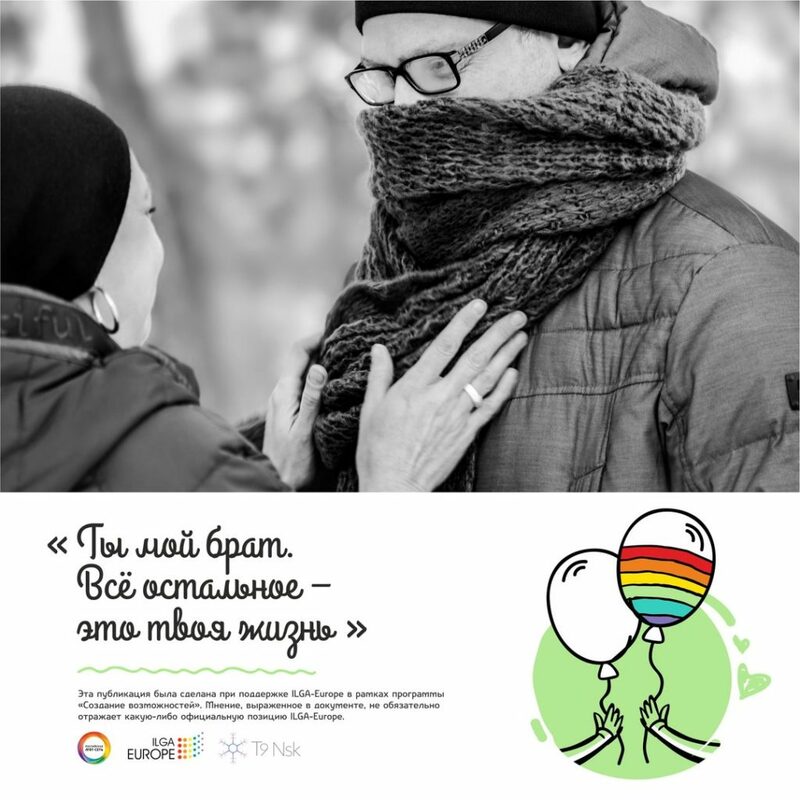 This campaign very cleverly combined both by exposing both the story of the LGBT person AND the story of the sibling, who acts like a representative of the target group to whom they can identify with. Testing is key. In this case, focus group discussions allowed to test all the key elements of the campaign before it got launched.